The UK’s National Cyber Security Centre (NCSC) has unveiled the second wave of nine cybersecurity start-ups seeking to bolster the defence of the realm. 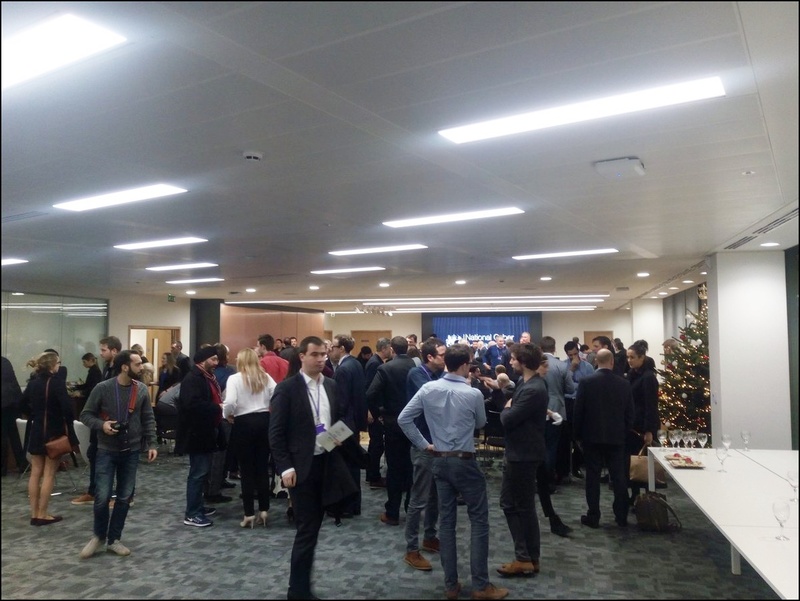 At yesterday’s (7 December) launch at the NCSC HQ in Victoria, London; Banking Technology was invited to listen to speeches, pitches and to talk with a coven of creative minds all in cahoots for the common good. As a reminder, the NCSC was revealed to all in February – with a mission to work with the Bank of England (BoE) to produce advice for the financial sector for managing cybersecurity effectively. It is part of a raft of initiatives within the UK Government’s £1.9 billion investment to revamp the nation’s cyber barriers. Last night, Chris Ensor OBE, NCSC’s deputy director cyber skills and growth, said it received 116 applications – more than double in comparison to the first cohort. These were whittled down to 24 – and then to the shiny nine. Also speaking was NCSC technical director, Ian Levy, who called these times “interesting years – as in a Chinese proverb kind of way” – i.e. there is a lot happening, and not all good. Levy is fully aware of the challenges ahead – calling the adversaries “brilliant” and “inventive” – and “sometimes we have respect for them”. With this kind of tough scenario in place, the NCSC is looking for new solutions in the cyber fight. This is where the start-ups and the GCHQ Cyber Accelerator come in. The companies chosen to join the nine-month accelerator outlined their ideas (and all were very slick) for security products and services that will enhance the UK’s cyber defences to journalists, representatives from the NCSC, Wayra – part of Telefónica Open Future, and UK Minister of State for Digital, Matt Hancock. The companies taking part in the latest round of the accelerator are Cybershield, Secure Code Warrior, RazorSecure, Elliptic, Intruder, Trust Elevate, Warden, Ioetec and ExactTrak. Not only did I listen to the highly professional pitches, I had a chance to meet some of them. For example, Cybershield, which is based in the UK town of Cheltenham – to be near to GCHQ – is offering tools to stop employees opening phishing emails. Elliptic is seeking to be “the global standard for blockchain intelligence” and identifies illicit activity on Bitcoin and blockchain and provides intelligence to financial institutions and law enforcement agencies. Warden offers services that include notifying customers of relevant security events and “secure and trusted” cryptocurrency services. Considering the number of hacks in the latter sector, it may have found a good market. Ioetec provides a “plug-and-play, out of the box” cloud platform for “secure” connectivity for IoT. ExactTrak wants to help protect data – and applies its technology to laptops, external memory drives and a IoT devices. “It works even when a device is turned off.” In a witty end to its presentation, which neatly was the final one, the firm showed that as an ultimate recourse, a stolen device can “self-destruct” and so all data is deleted remotely. As you’d expect, the selected start-ups receive funding, office space, mentoring and contact with an investor network. It will be interesting to see what happens in nine months when their accelerator experiences end.